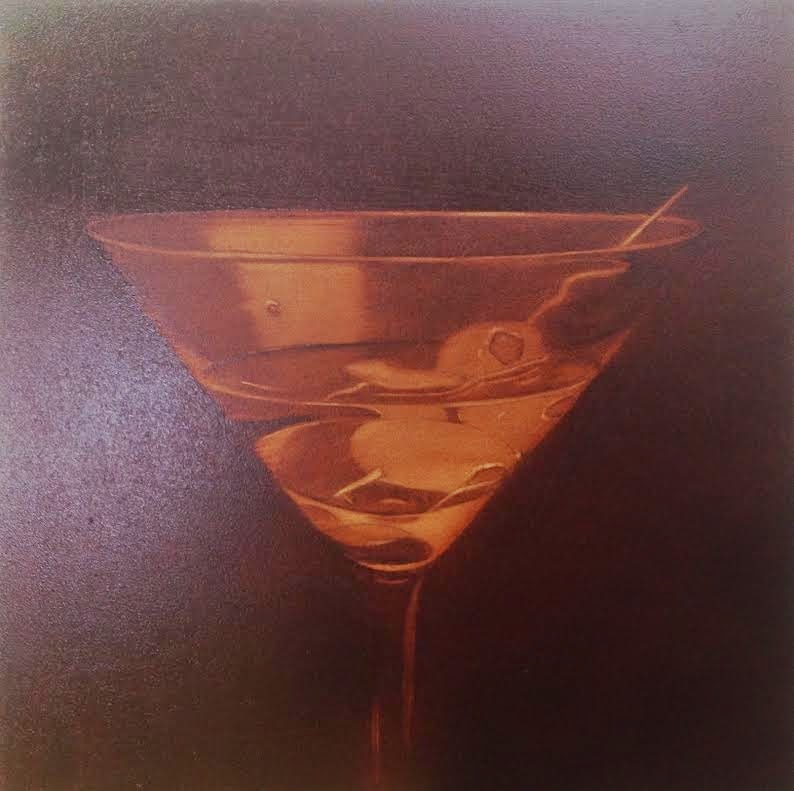 Since two people tried to buy my last cocktail painting at the same time, I am part way through another! ...It might seem a bit of a long winded way of going about things, but painting in this way means that the final piece will last a life time or two at least! 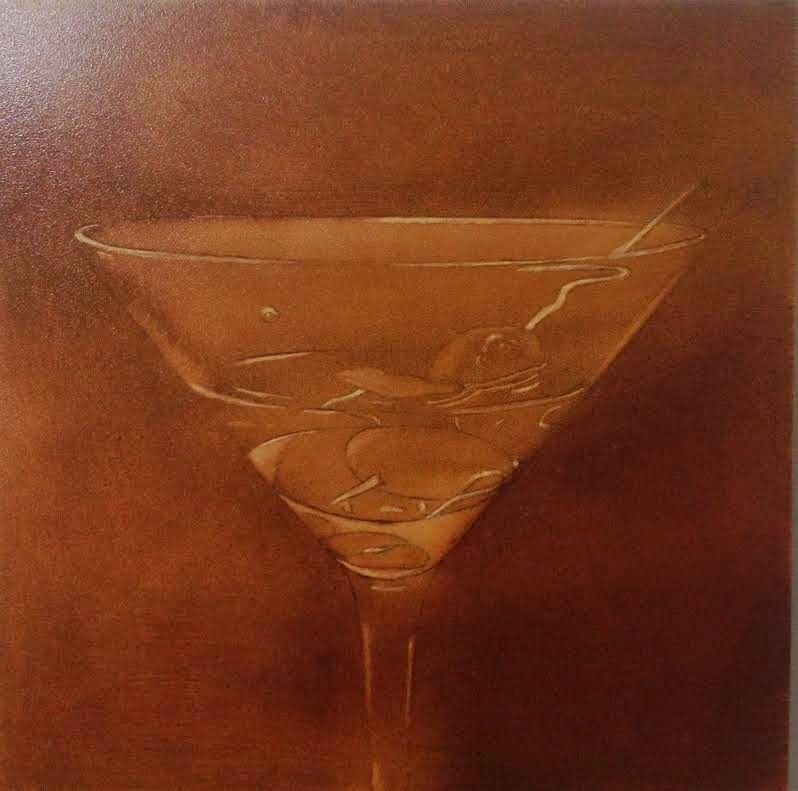 Meanwhile, if you are bored of Cocktails, you might want to pop over to The Naked Artists, to see what else I've been up to! Might see you there! J'adore voir les différentes étapes. C'est toujours passionnant et instructif. The attention to detail appeals to the real me. The technical detail appeals to the potential painter in me. The painting itself appeals to all the senses .... perfect! So happy to be able to comment on your blog again, Sandra! 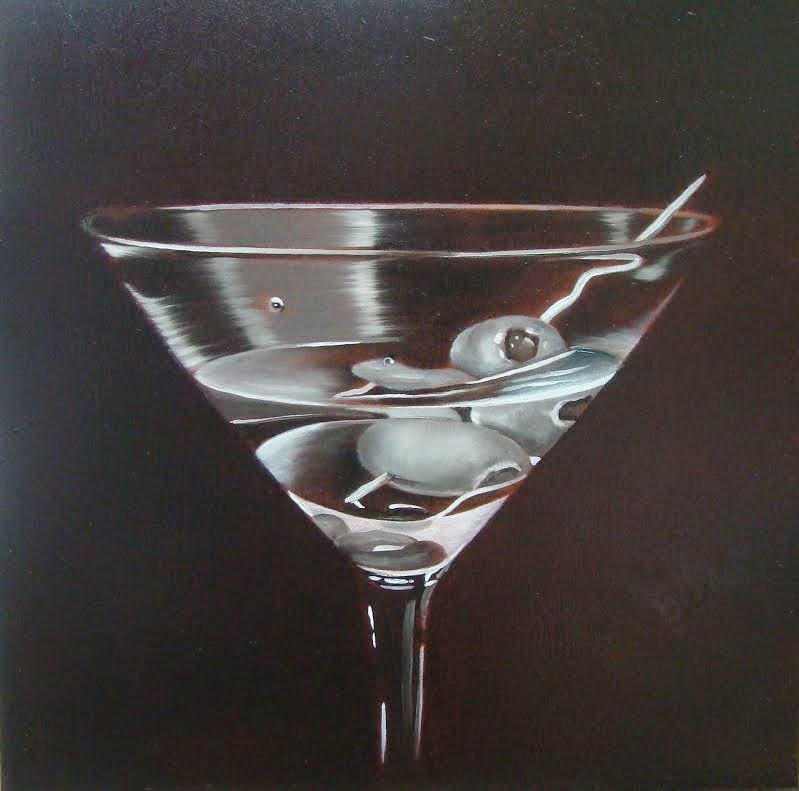 Your cocktail paintings are so distinctive - I would know they were the product of your brush anywhere. The purchaser in California certainly will enjoy this one for a lifetime. Looking forward to seeing the final! Je suis déjà sous le charme de ce dernier en cours !... Toutes mes félicitations pour tes ventes, bien méritées.